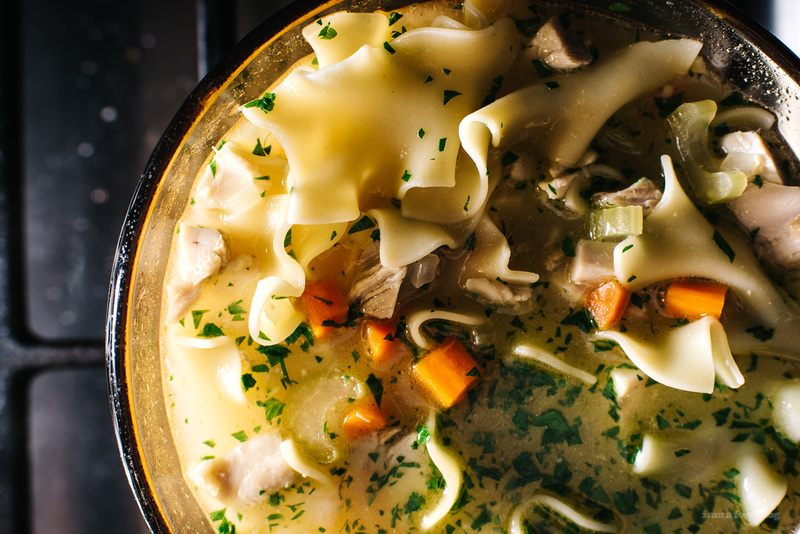 Miso adds an extra bit of umami to the ever classic chicken noodle soup. The rain has been non-stop, which means soup season. I’m not complaining because Mike and I have been on a soup kick lately. We’ll make up a huge batch and eat it for lunch and dinner. You think we’d be sick of soup by now, but we’re not. At least, we’re not sick of different soups…I accidentally made too big a batch of a miso pork soup the other week and we were eating it for what felt like forever. Even after our miso binge, it was the star of this soup. I had a bit of chicken left over in the fridge, just hanging out, begging to be put into a pot of warm soupy goodness. I whipped up a quick chicken noodle soup and added in a bit of miso for an extra bit of umami. It was pure comfort because of the egg noodles. I just love egg noodles in soup! But then again, I just love noodles. 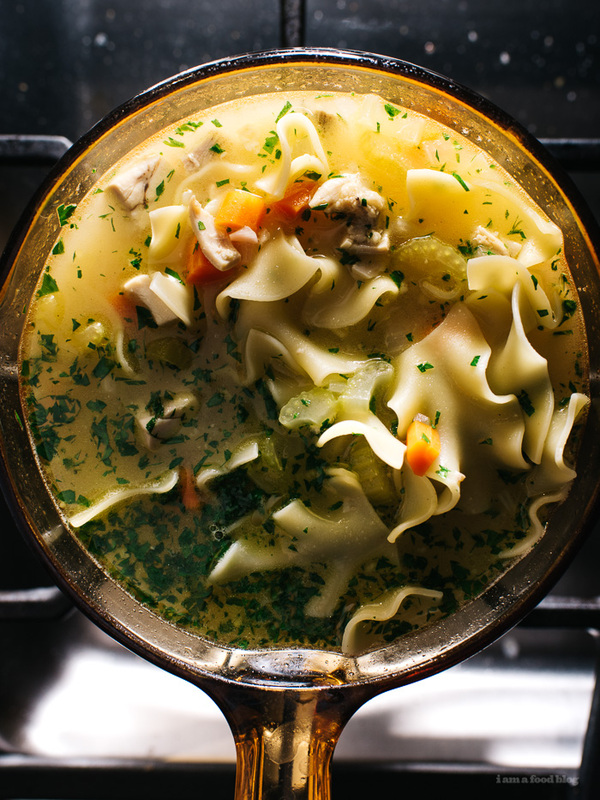 Maybe it’s time to move on from soup…noodles here I come! Miso paste varies greatly in flavor, taste as you go to make sure you don’t over season. Also, I prefer white miso when I’m looking for something on the milder side, but red miso is always a welcome change. In a medium pot, heat up the butter over medium high heat. 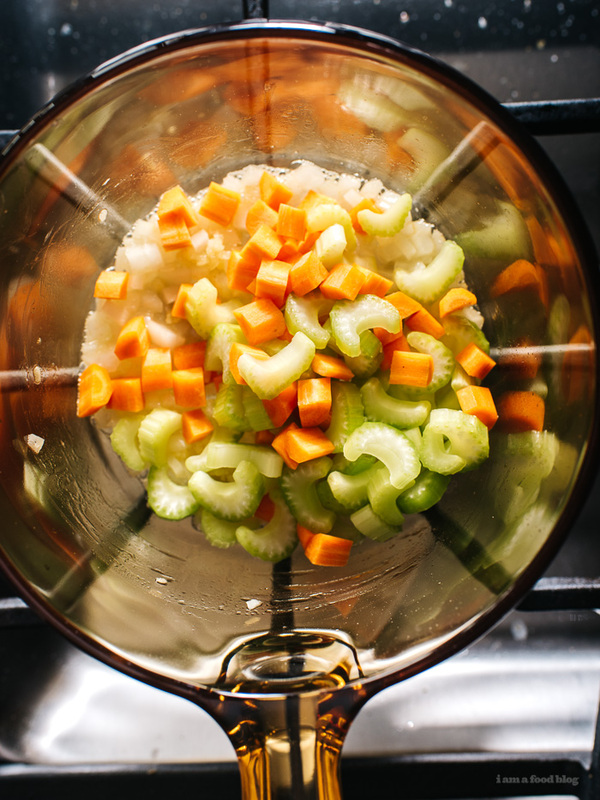 Add the onion, garlic, celery, and carrot. Cook, stirring, until slightly soft, but not brown, about 2-3 minutes. 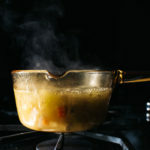 Add the chicken stock and bring to a simmer. Add the chicken and egg noodles. 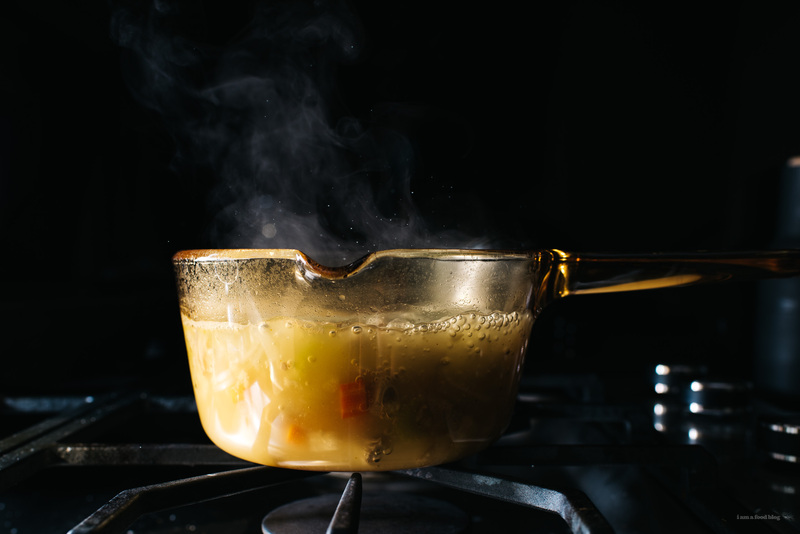 Simmer, until the egg noodles are tender. Turn the heat off and stir in the miso paste, tasting as you go. Season with freshly ground pepper and flat leaf parsley. Enjoy hot! This looks so lovely and comforting! Even though the sun’s out where I am it’s still coat weather so there’s definitely still time to get a batch of soup in. Curious about that glass pot. Do you have a link? The touch of miso made this soup. I even got german egg noodles…extra points. Simple and tasty. Thanks! I’m in korea,korea is raining now.